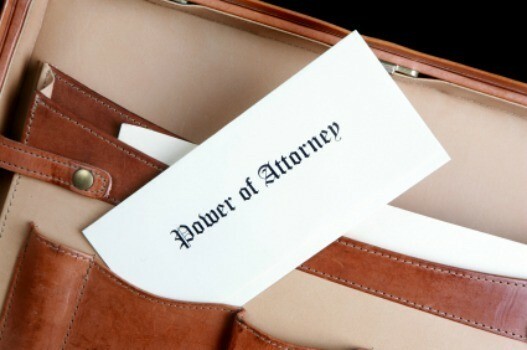 Understanding the duration of a power of attorney starts with determining which type you have. This is a guide about duration of power of attorney. My mother died. I went to the bank to withdraw money, as I held a POA for her account. The bank put the money on hold and said I need a death certificate and legal document. Do I go to probate court? Bring the death certificate and the POA. As Judy says, get the certificate and POA documents. I am sorry for your loss. It's a hard time to be dealing in red tape. But, it's for your protection that they need that paper so no one can just come in and take your mom's money. I wish you smooth sailing. I tend to disagree with some answers but if your bank will accept just a death certificate and Legal document (?) I would be greatly surprised. Anything dealing with a POA ends at the death of that person and generally speaking, is just another "piece of paper". If your mother's bank account was in her name only then most likely the legal document the bank is asking for is something showing who has legal rights under the terms of her will (after probate). If she left no will, then it will still be after probate. I would advise you to see an attorney before taking any further auction. Once you are given power of attorney is it good until the death of the person? Depends on how the Power of Attorney is written. You should read it to understand how carry out you duties. In my case, it is to be used to pay bills only while I am incapacitated and not for anything else. It also contains a clause that the person who has the power of attorney cannot use any of my personal funds for their own use. There will be penalties if they do so. Be very careful to know what kind of POA it is. I signed one called 'Durable Power Of Attorney' during my marriage when we were posted out of the country (to a war zone) so that my then husband could handle repatriating my body and effects should something happen. Well, we made it through that posting and I forgot about the POA altogether; until about three years later when my then husband used it to completely 'clean my clock'. He took everything using the durable POA. Everything. After over 18 years of what I'd thought was a lifetime marriage. The court couldn't do much although they sure socked it to him in alimony and child support. ("It's not alimony-it's victim compensation when something like that happens", is the way my attorney presented it and the judge agreed). Having a POA is a good thing most of the time, but be very careful about whom you trust to have one over your affairs, and make sure it has an expiration date or a clause for revocation. If I'd been bright enough to revoke that durable one, I would have been in much better shape after the separation. I don't understand the need for POA is the people are married. Normally it is a surviving spouse who needs one and that is usually an adult child or a lawyer. In any case it is normally states that the POA is only if the person becomes incapacitated. All POA ends with the person's death. Just because people are married does not mean a Power of Attorney is not needed. A POA is a legal document giving one person the power or authority to act for or handle another's personal affairs. Consider the following example. You and your wife are both forty years old. You are driving down the street when your car is hit head-on. You are unconscious and transported to the hospital, where you remain in a coma for several months. It is expected that you are going to recover; it's just going to take time. Luckily, your employer provided disability insurance benefits. But the insurance company must issue the benefit check in your name. If your wife does not have a power of attorney, she can't sign your name. Further, assume that the savings account where you keep most of your money is also in your name. Again, your wife can't withdraw money. Her only recourse is to file a petition in court to have you declared incompetent, so that she can access the savings account and your disability checks. I'm not so sure I agree with foxrun41 if one lives in a community property state like Texas. Then again he/she may be right; just questioning it. 1. Are they still responsible for paying 2 year lease payments? 2. Should the executer be allowed to stay in the house? 3. Can her other siblings/beneficaries ask for a refund on the rent which has been paid already? Your situation is a bit complicated legally so I suggest you visit an attorney experienced in landlord and tenant law. Also, the laws vary in each state and often in each city and county so an experienced attorney can answer your questions specifically for your area. Take the advice and see an attorney - just be sure they are experienced in real estate laws. I believe a lot will depend on what is written in the original lease agreement but you need legal help with all of these questions. My uncle was a POA for my grandmother. She had land and a house. My uncle just took it upon himself and had my grandmother sign over her land and house to him. My grandmother was age 94 and could hardly see. There is an Affidavit of Heirs. Now Grandmother has passed and Uncle thinks he should get it all? How will the Affidavit of Heirs work now? Do I need to get a lawyer? He also took money from her, made checks out to cash, etc. As POA your uncle is responsible to handle your grandmother's financial affairs but not to benefit financially him in any way. I strongly suggest you consult immediately with an attorney experienced with POAs, elder care and abuse. Your uncle must account for every penny of your grandmother's money from the POA forward. He may even be liable for monies he handled before the POA. Can a sister take all possessions of deceased parent if she has power of attorney in Mississippi? All actions and requirements stipulated in a POA cease immediately upon the POA person's death in all states. Your sister's actions are incorrect as the POA is no longer in force. Unfortunately, you may need to retain an attorney to clarify the problem and return the deceased's belongings.